Here is a brief timeline of Thomas Jefferson's Life! 1743 Thomas Jefferson was born on April 13 in Shadwell, Virginia. 1757 At age 14 his father dies leaving him in charge of his family. 1767 Jefferson begand building his new home, which he named Monticello. 1769-1775 He served in the Virginia House of Burgesses. 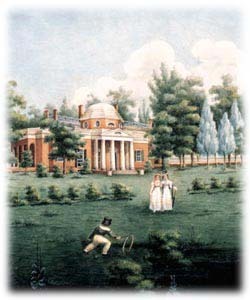 1770 Jefferson moved into his new home at Monticello because his house in Shadwel burnt down. 1772 Thomas Jefferson married Martha Wayles Skelton on January 1st. 1776 He wrote the Declaration of Independence. 1779-1781 Jefferson became the governor of Virginia. 1782 Martha Jefferson, his wife, died. 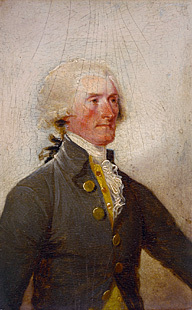 1783 Jefferson was elected to the Continental Congress. 1790-1801 He was the 2nd Vice President of the United States when John Adams was President. 1801-1809 Jefferson was the 3rd President of the United States. 1802-1803 Jefferson makes the Louisiana Purchase and doubles the size of the United States. 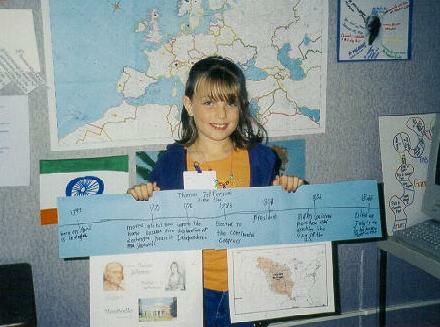 Learn more about the Louisiana Purchase by checking out this page! 1825 The University of Virginia Opens, which was designed and started by Thomas Jefferson. 1826 Thomas Jefferson dies on July 4th in his home at Monticello.